Film Independent is putting on its 7th annual forum with "real world discussions, solutions and case studies, which reflect the reality of our industry TODAY." It will take place from October 21 to 23 at the Directors Guild of America in Los Angeles. For a full schedule of events, panelist updates and to register, visit: filmindependent.org/forum. 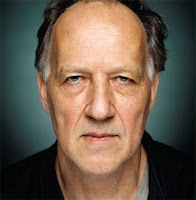 German filmmaker Werner Herzog will be the Keynote Speaker. I know Herzog's work but I can't say that I've seen all his films. He's one of those artists that I say, oh yeah, he's a legend. His work is highly acclaimed; I need to watch his films. I really do. So what has he done? He has produced, written, and directed more than fifty films - including Cave of Forgotten Dreams, The Bad Lieutenant: Port of Call - New Orleans, published more than a dozen books of prose, and directed as many operas. Francis Truffaut supposedly called him "the most important film director alive." But why? Part of the reason is that he was a prominent figure in New German Cinema, which consisted of a group of young, talented filmmakers who were discouraged by the stagnation of the German film industry. 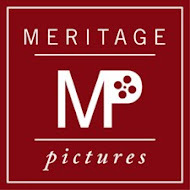 They made it their mission to focus on artistic, highly acclaimed films rather than commercially-driven product. Sound familiar? I think today's filmmakers can learn a great deal from those who struggled similarly decades ago. The New German Cinema era lasted from the 1960s to the 80s and sparked a resurgence in high quality German filmmaking. The 1972 film Aguirre, the Wrath of God is considered Herzog's contribution to the New German Cinema. It went on to garner great international acclaim. I haven't seen Aguirre, the Wrath of God myself but the logline sounds pretty adventurous: In the 16th century, the ruthless and insane Aguirre leads a Spanish expedition in search of El Dorado. Sounds like something I need to check out soon. Here's the trailer. It's in German but even if you don't speak German, you can still see how great it must be. I look forward to hearing what Herzog has to say at the Forum!